Key Facts– In the 19th Century and into the 20th, many American states adopted and enforced laws restricting or prohibiting abortion. These laws are ultimately considered in their totality by the court here, though the case that specifically gives rise to this decision is an abortion case coming out of Texas. 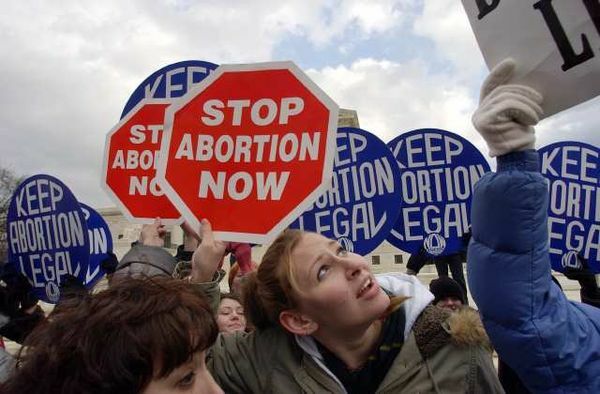 Issues– Can the states prohibit abortion? If not, can they restrict or regulate it? If they cannot prohibit it, but can restrict or regulate it, what’s the limit? Holding– No. Yes. The limit is based on weighing the state’s interest in regulation against the privacy right. Result– Right to abortion established. Reasoning– An overview of world history shows that abortion has not been a universally reviled phenomenon. In the common law, the history until the 19th Century only shows sanctions for abortion that applied after “quickening,” or first fetal movement. The state has an interest in abortion for safety reasons and for the preservation of pre-natal life, both of which are significant. However, the right of personal privacy includes the abortion decision, and this must be weighed against the state interest. Richard Ross, a recent visitor to the Levin School of law, had much to say on the state of juvenile justice (or injustice, as the case may be). His words were thought provoking, but his pictures were an order of magnitude more striking. Below, find a link to his book , which seems likely to have the same emotional effect as his presentation. The sense of moral wrong that the reality of imprisoned children can inspire is staggering. By the end of Mr. Ross’s presentation, I was hoping for solutions to correct what seemed a clear and objective system of injustice. I suspect that the idea of an objective right and wrong is close to the hearts of most people outside of the legal profession. Of course, when I think about the popular image of lawyers, it is not that of a group of people crusading against clear injustices. Rather, if pop culture is any indication, the public expects us to defend mainly corporations and guilty criminals, either working in an actively immoral or amoral way or at least ignoring the larger moral picture and becoming obsessed with the details and necessities of victory. Yet when I thought about the idea of children in solitary confinement and restraints, I felt this was the sort of injustice that could not be easily ignored by anyone. Solitary confinement can be traumatic for stronger adult prisoners, and the thought of it being used on juveniles was heart-breaking. Juvenile imprisonment itself is also a pretty disturbing thought; hundreds of thousands, if not millions, of children have been judged as ‘bad’ by the justice system, many of them before they reach puberty. How can they possibly become good citizens when the world has effectively told them they are a burden on society? Gradually, I realized there was an element of nuance that I was missing. That is the problem with allowing oneself to be swayed by emotionally based appeals, which are invariably unbalanced on one side of an issue. After speaking with a friend who grew up poor, around many juveniles who ended up adjudicated delinquent, I feel I have developed a somewhat better-rounded point of view. I still think solitary confinement of minors is categorically wrong, and it probably qualifies as cruel and unusual punishment. However, when I look at juveniles in the justice system, I have to look at more than just their probably unfortunate backgrounds. Almost everyone who ends up doing cruel or immoral things in their adult life was mistreated or poor as a child; this doesn’t mean that they should be set free. Based on my friend’s experience, most of the children who end up in juvenile delinquency facilities have a long track record of causing problems, fighting, and generally making it impossible for other people to learn. This made me think about the other side of the juvenile detention issue. If you’re one of the children who has to go to school with those kids, just as poor as them maybe, but perhaps raised a little better, how are you supposed to learn? When I read the stories on Richard Ross’s website, I am struck first by a strong sense of empathy for the children or teenagers in them, whose families are often violent or drug users, or both. Then I’m struck by the concern that someday, these juveniles will get out, and my younger sister, or my future children, will be walking the same streets as them. It is important to think about these things. It is important to think about more than one side. I am still not entirely sure how relevant this visitor was to my course on Legal Writing, but it was certainly a thought-provoking presentation.